My HippieTown at this time of year should be gray, misty and soggy. For the past week, that is not the case. Spent the whole Saturday at the Asian Celebration at HippieTown. 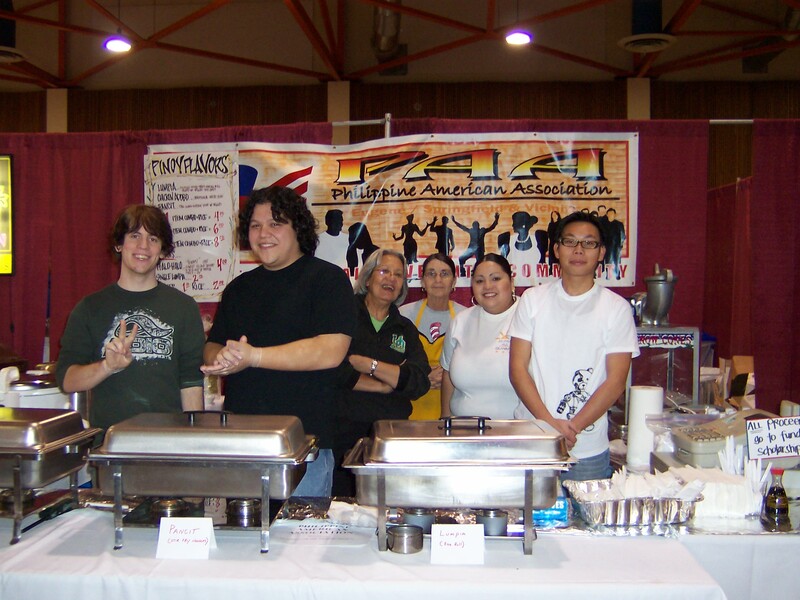 From 8 a.m. to 6 p.m., I stood on my feet helping prep and cook for one of the Asian food booths. The food that was served consisted of eggroll (lumpia), noodles (pancit) and Soy Sauce Chicken with Herbs (Adobong Manok). I never tire of these dishes. But there were all sorts of other dishes, from sushi, kimchi pork, manapua, beek bulgogi, bubble tea, halo-halo (mixed fruit drink with crushed ice), etc., etc. Everything Asian was everywhere, from martial arts demonstrations, dances, music, artwork, artifacts, fabrics, clothes, toys, prayer shawls, bonsai plants, wood carvings, etc. It was really wonderful to see and be seen as part of the Asian comunity. I had a blast! My son came up so we could have lunch together. My husband was nowhere to be found. He hates big crowd. And boy, because of the wonderful sunny day, the fairground was just jam-packed with people.